Vitamin D is essential for life. It regulates calcium homeostasis in the human body‚ which is of vital importance as calcium is involved in the function of all cells. Calcium balance is also essential for bone growth and formation‚ as well as for the function of the nervous system. Vitamin D has been shown in multiple studies to support healthy bone structure. 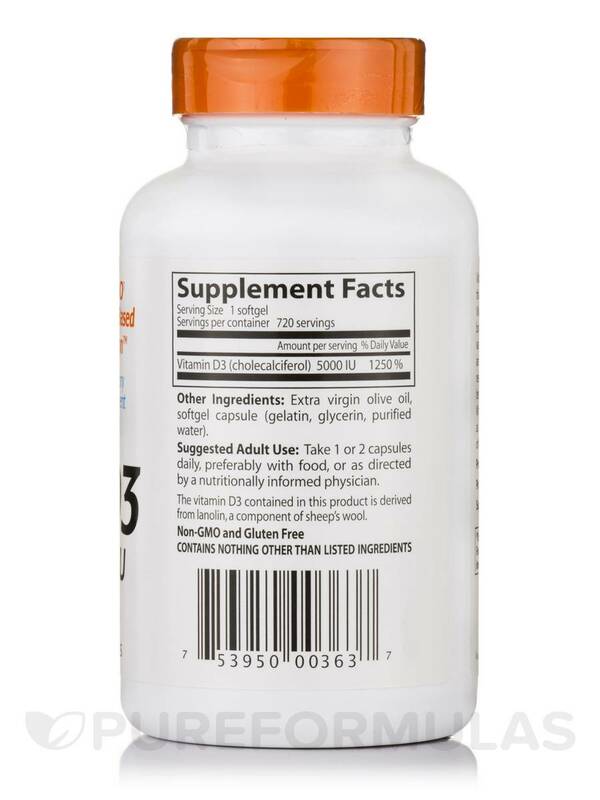 However‚ over the last several years‚ more and more research has focused on other critical functions of this hormone-like vitamin. 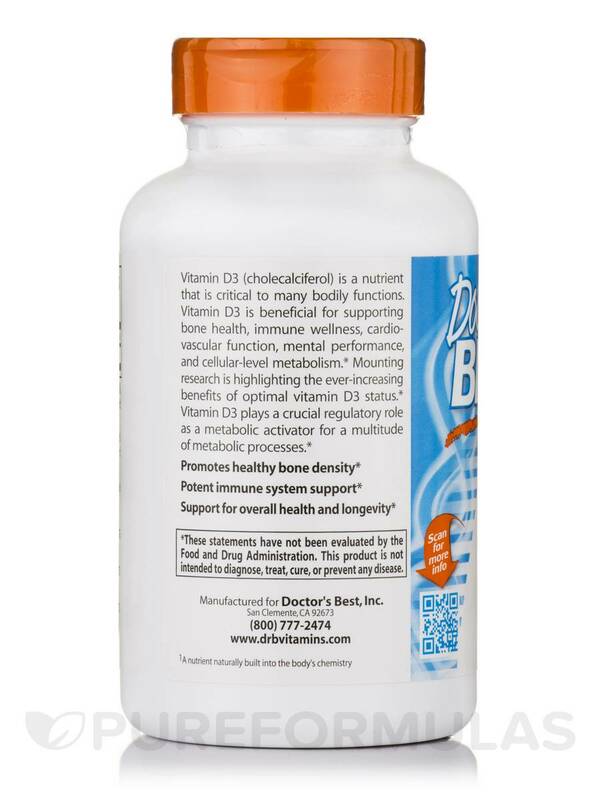 Vitamin D plays a role in most organs and systems of the body. Like other hormones‚ vitamin D acts as a “molecular switch” by influencing the expression of multiple genes .1 Thus‚ activated vitamin D not only influences bone health‚ but is involved in supporting the function of the immune system‚ cardiovascular system‚ respiratory system and the musculoskeletal system‚ among others. Added to the knowledge of how vitamin D can affect the function of various organs throughout the human body is research showing that a majority of individuals are not getting optimal levels of this crucial “super vitamin” on a daily basis‚ placing them at risk for deficiencies. Other Ingredients: Extra Virgin Olive Oil‚ Softgel Capsule (Gelatin‚ Glycerin‚Purified Water). Allergen Caution: This Product is Gluten Free‚ Non-GMO. I love the small size of the soft gel capsules. They are easy to swallow multiples at one time. 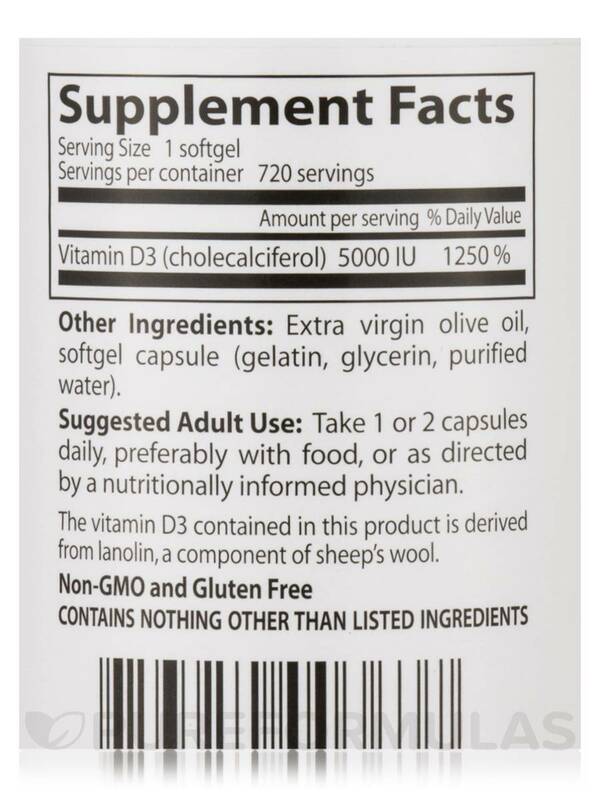 The fact they are made from olive oil was the main reason I purchased in the first place and I have continued to reorder; I have even had referred family to Best Vitamin D by Doctor's Best and they love this and the benefits as well. Small size Soft gel of olive oil. Doctor says my Vit D levels are great! 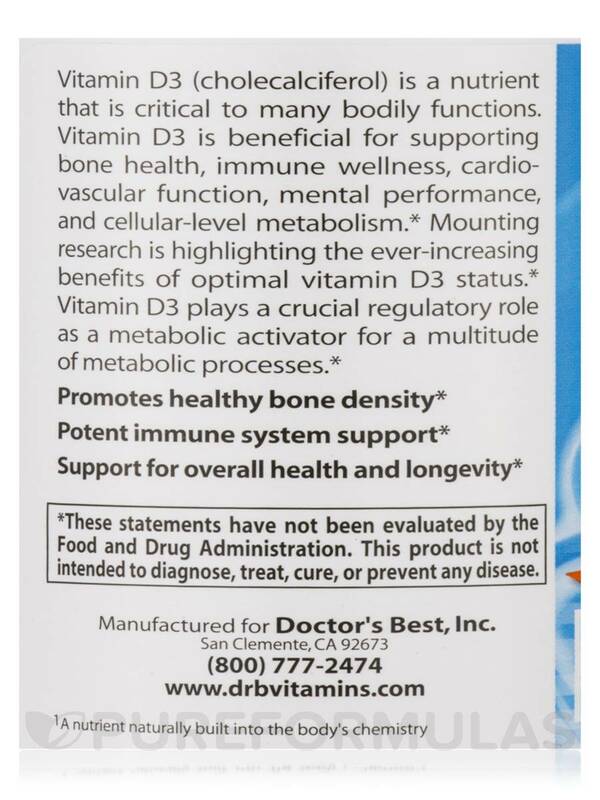 I've been taking Best Vitamin D 3 by Doctor 's Best for almost 2 years. Ordered from another source before, but I like the price here. Easy to swallow due to small size. No Longer Vitmain D Deficient! This is a trusted reputable brand that is all natural. I really like the quantity available in this size because it's very economical and cost effective. 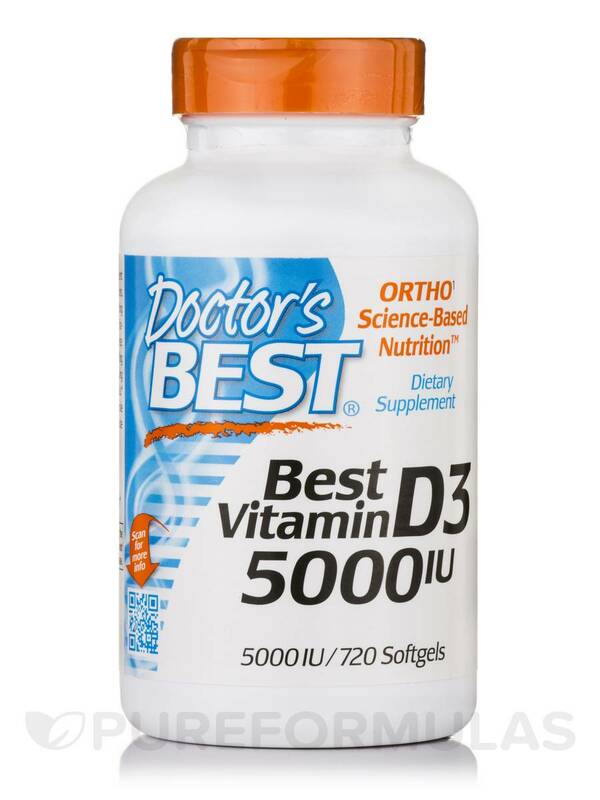 I was Vitamin D deficient living in Ohio before taking Best Vitamin D3 by Doctor's Best. Now, after recent testing, my Vitamin D levels are excellent. I highly recommend this product!